We are located five miles east of Parsons on the beautiful Tennessee River. 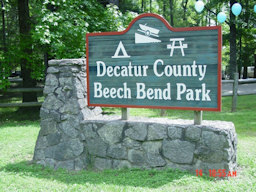 Beech Bend Campground is made up of 11 acres and is a quiet place to get away from it all. Rates: Lots with electricity = $17 daily, Senior Rate = $15 daily. Lots without electricity = $13 daily, Senior Rate = $11 daily.